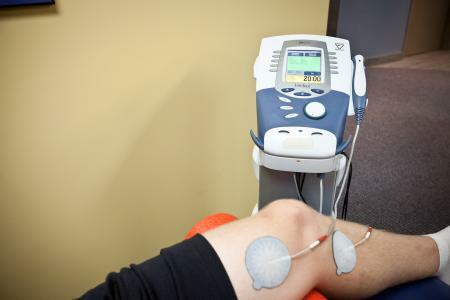 Various modalities including ultrasound, and electrical neurostimulation will be utilized in the treatment of pain, muscular weakness and swelling. Utilized for control of joint swelling and vascular insufficiencies and oedema. Compression bag available for the lower and upper extremity. Intermittent delivery of a controlled pressure via air chambers. A cooling and compression system used for acute swelling an effusions. Effective for the control of swelling post surgery or acute injury. 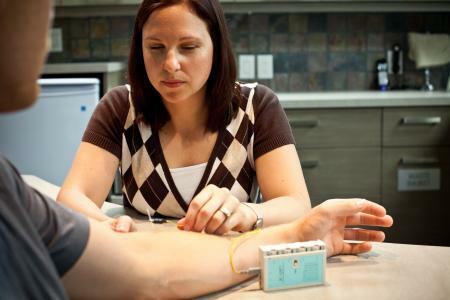 Pump system propels cold water into a bladder applied circumferentially around a joint or limb. Available for clinic or home application. Can be applied for 10 - 20 minutes every hour. For facilitating muscle contraction for the treatment of muscular and neural deficits as well as pain.